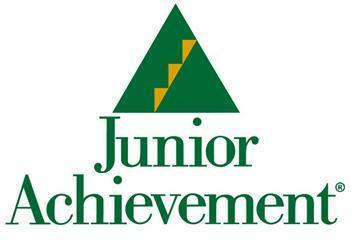 PRESQUE ISLE - Aroostook County students have won the top three spots in the Junior Achievement Titan Challenge. More than 100 high school student teams from across the state competed in the Feb. 11 event at various locations in Maine. This year, Aroostook County had the most teams (25) in the event that took place at the University of Maine at Presque Isle. Using an Internet based simulation; Junior Achievement of Maine designed a daylong business strategy competition for youngsters. The competition was designed to unleash creativity, test leadership and demonstrate the competitive nature of the free enterprise system in a global marketplace. Taking first place was a team from Van Buren High School. Isabel Parent, Kiley McDonald and Emily Dumond each won a $1,000 scholarship. Caribou High School's Evan Desmond, Caleb Hunter and David Hunter took second and earning $500 scholarships. The third place team hailed from the Caribou Regional Technology Center. Maria Espinosa, Elijah Verhoff and Ben Ezzy received $250 scholarships. Aroostook Partnership for Progress President Bob Dorsey served as a team mentor during the competition. He said Junior Achievement serves as a model to get youngsters better acquainted with business and becoming an entrepreneur. Essential to this event are the sponsors and the mentors. Once again, County companies and business folks contributed their time and funding to make this event happen. "The County JA effort is spearheaded by Mark Wilcox of Dead River who has provided outstanding leadership and support that has grown the local effort and this event significantly over the last three years," said Dorsey. "The Partnership is involved because retention of students in The County to fill our 18- to 44-year-old workforce is very important and getting students exposed to business principals early is a real advantage. You never know, one of these students may well start up a business that thrives in Aroostook and wouldn't that be great." AUGUSTA - Another successful Aroostook Day at the Legislature is in the books, with a record number of legislators in attendance for the evening meal and presentation. 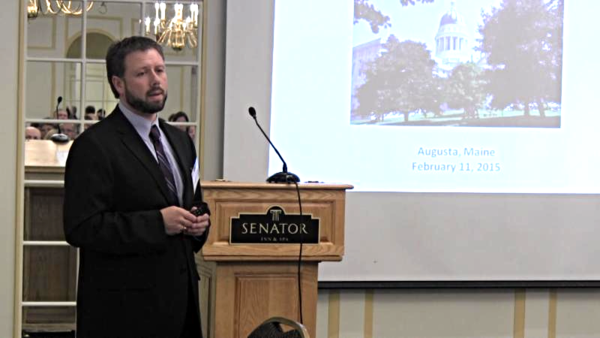 Aroostook Day, held Wednesday, Feb. 11, at the Senator Inn in Augusta, is a signature event for LEADers Encouraging Aroostook Development. This year more than 25 state lawmakers attended the event, along with about 60 County residents. LEAD Executive Director Ryan Pelletier addresses attendees at the Aroostook Day at the Legislature dinner. Workforce challenges and opportunities were the underlying themes in the formal presentations to the legislators. Ryan Pelletier, Executive Director of LEAD and Director of Economic and Workforce Development at Northern Maine Development Commission, presented on some of the workforce challenges, like a declining 18- to 44-year-old workforce, but noted there is a great deal of effort underway to reverse that trend. "I want the legislators to walk away with the knowledge that Aroostook County is alive and well and engaged in a lot of activities and initiatives and our main focus is on job creation and job growth," he said. After Pelletier set the stage on workforce issues, Aroostook Partnership for Progress President Bob Dorsey told the audience the next few years are important for Aroostook as new industry and opportunities will demand more workers. "There is the potential for more than 1,000 new jobs in the next few years in the forest industry, manufacturing and mining," said Dorsey. "It is critical that as we strike to create new jobs, we also market this area and the potential to job seekers in order to fill them with qualified workers." Dorsey concluded his remarks by showing the WAGM "Opportunities Aroostook" advertisement depicting the free website that has been set up to allow for free job and resume posting. Scott Voisine, the Dean of Community Education at the University of Maine at Fort Kent, was the key speaker providing a presentation on the overview of Rural U and the newly formed Aroostook Business Institute. Rural U is a program of the university, which links 65 high schools through the state to the University so students can earn college credit while still in secondary school. The Aroostook Business Institute is a collaboration of all the colleges and universities in Aroostook to graduate more business majors. "We live in a state with dwindling resources for education, yet we are continually being held to a higher standard of accountability in education," said Voisine. "In order for this state to be able to continue to achieve a high level of educational quality and a broad breath of curricular choices to students at all levels, then we need to realize a seamless, collaborative system of education in Maine from pre-K to 16 and beyond to adulthood. My message is initiatives such as Rural U and the Aroostook Business Initiative are important in this effort and are examples of what can happen when educational institutions and community partners can achieve when they come together for the betterment of the community." Following the formal presentation, Davis went around the room to see what other topics attendees wanted to discuss with the lawmakers. 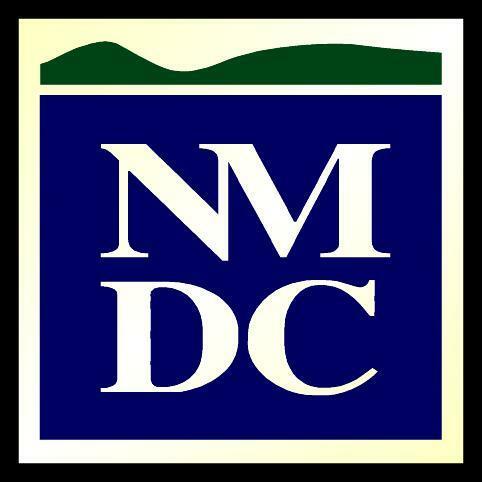 Those topics included the Governor's budget proposal, municipal revenue sharing, health care and education. "I hope the legislators leave with a message of economic recovery," said Davis. "Aroostook County is innovating in a multitude of ways across many sectors of the economy. I would like to believe the outgoing message is watch us grow.